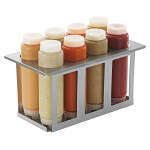 The Server 86996 squeeze bottle holder set is great for prep tables since staff can easily grab condiments as needed. 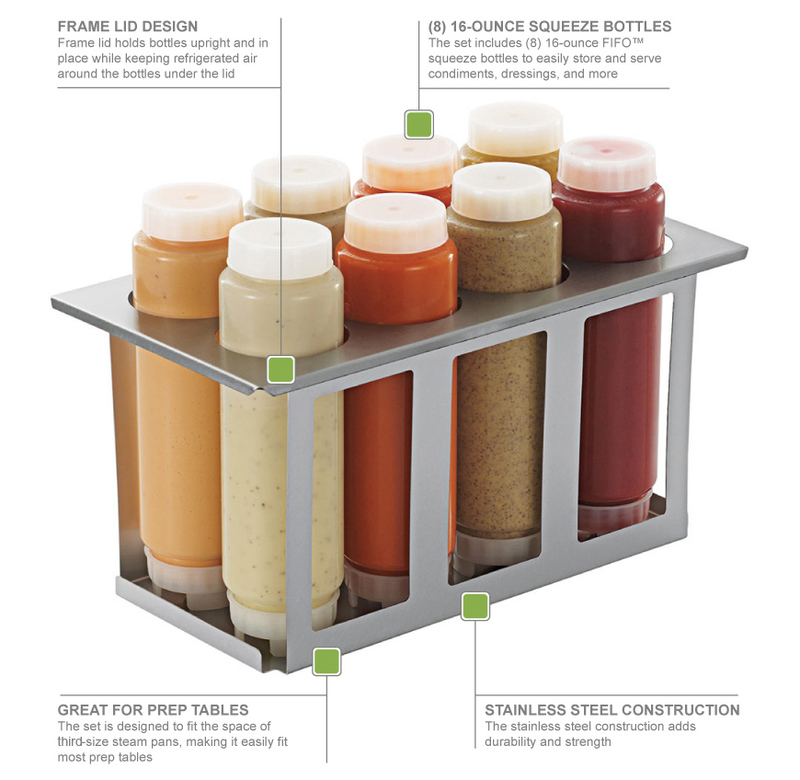 The eight 16-ounce FIFO™ squeeze bottles are kept organized by the frame. The frame’s stainless steel material is easy to clean and heavy duty. The lid piece holds in refrigerated air as well as keeping bottles upright for a more appealing look. 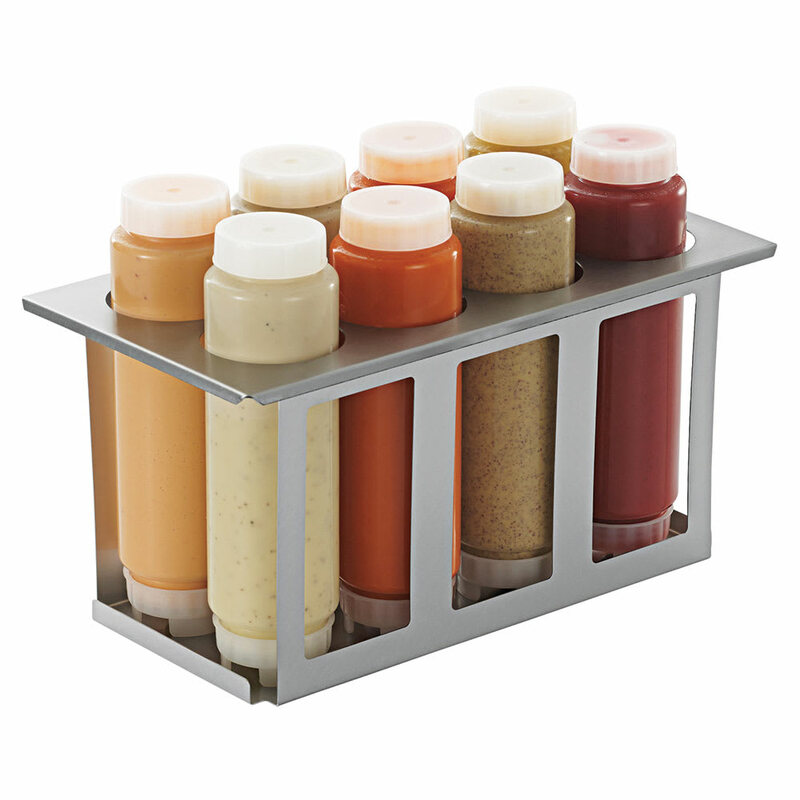 The Server 86996 squeeze bottle holder can be used in ambient and cold applications. The shape of the set allows it to fit in the same spaces as third-size pans.